Discussion in 'Mechanical' started by hoppielimp, Jul 29, 2016. I know there are a few tyre people out there who say you don't need to balance your rear wheel and only balance your front, but do you insist and do they balance it for you ? 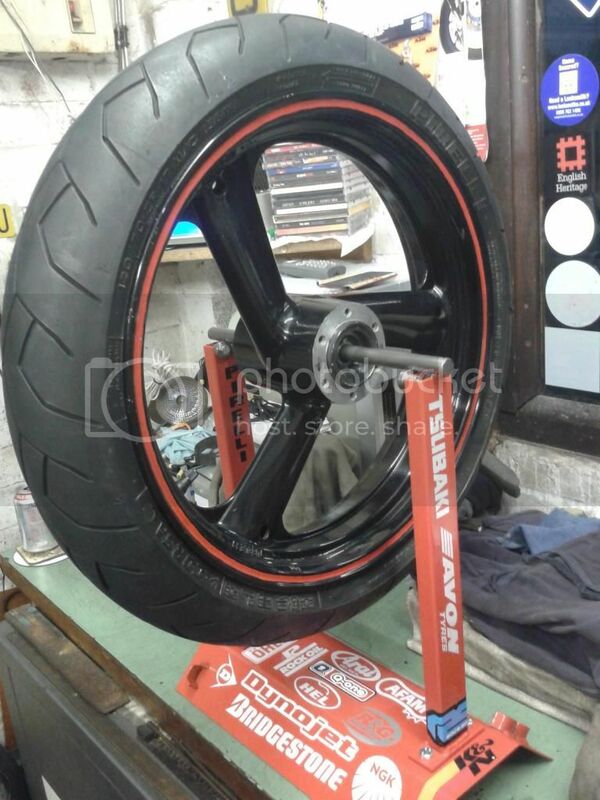 So...do you balance your rears (tyres) ? I balance the front and rear when i change my tyres but some people say they don't balance the rear. Worthwhile having a look...to see if you have weights, as it is pretty rare to find an un-weighted balanced wheel. I know I have had quite a few rears changed that haven't been balanced (including at Everest - but that maybe because he didn't have a an adapter for the Beemer). I have a newly acquired balancer at home and I took one of my rears off and it required 20g weight. There must be a few dodgy handling bikes out there! I always have both wheels balanced. Can't see why you wouldn't. I have always taken it for granted that balancing the wheel front and back was part of having the tyre fitted and I am sure the place I use do it without being asked, but now I am going to have to check the wheel for weights when I get home. I do wander what said tyre fitter would say if someone suggested their car wheel did not need balancing and surely balancing a vehicle with 1/2 the wheels is twice as important! but hay what do I know? I get front and rear done, there are places that don't have any weights and never balance wheels as I found out last time I had a rear tyre fitted. It felt horrid for many miles and I kept checking the wheel alignment! My tyres have always been balanced. Why would you not balance them?